On this edition of Digging Deeper with Moneycontrol, we present to you the many narratives around Section 7 of the RBI Act. Over the past many weeks, we have brought you many reports on the Reserve Bank of India - we have dug deep into the tenure of Urjit Patel; we have done multiple explainers on the repo rate and what the impacts of a hike in repo rates are; we tried to understand what Dr Raghuram Rajan had to say about the issue of burgeoning non-performing assets in the banking sector; and more. Today, we bring to you a story with no precedence. On this edition of Digging Deeper with Moneycontrol, we present to you the many narratives around Section 7 of the RBI Act. This Act has been debated heatedly as the tension between the Central government and the Reserve Bank of India (RBI) comes to a boiling point. At the heart of the contention is Reserve Bank of India's autonomy. Section 7 is the controversial provision in the RBI Act which empowers the government to issue directions to the RBI. Incidentally, this has never been enforced in the history of independent India. Autonomy, as you know, is a powerful word in a democracy. The meaning of autonomy however, is being undermined in many parts of the world. And some analysts are of the opinion that that threat has come a-knocking at RBI’s door. 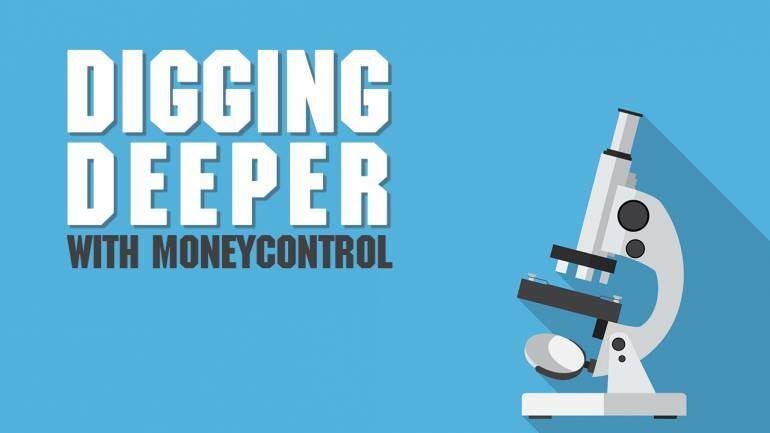 My name is Rakesh Sharma, and you are listening to Digging Deeper with Moneycontrol. With no intent to compare the health of democracies in the world, because each nation including India has a unique set of governing parameters, let us right at the onset, just glance at how various kinds of autonomies are faring under different governments. Let us begin with Brazil. The Guardian equates the election of Jair Bolsonaro, a seven-term lawmaker and former army captain as the President as a clear and present danger not only to his country but to the planet. Apart from his clear disregard for democratic norms and disdain for inclusive policies, he is known to favour business over biodiversity, and has come out against the policy of reserving 12 percent of the country’s land for indigenous tribes, and has committed to weaken the enforcement of environmental laws and to criminalise activism. ‘The Donald Trump of Brazil,’ the moniker he goes by, should explain a whole lot. Even without clear directives straight from the horse's mouth, similar tendencies are noticed across countries where biodiversity is shrinking along with the power of autonomous bodies. In the US, the government, including its most vocal representative, has infamously rolled back environmental provisions to allow companies more elbow room to mine natural resources. The US has now openly articulated its stand on climate change denial. And NDTV reported just hours ago that US President Donald Trump has claimed that no constitutional amendment is required to do away with the 'birthright citizenship'. This is the process by which babies born in the country to non-US nationals automatically become citizens. Trump wants to use executive powers to do away with it. This, despite the fact that this form of citizenship is clearly entrenched in the 14th Amendment and cannot be undone by a president. This comes on top of his success in establishing a political and ideological ally in the highest seat of law in the form of Supreme Court Justice Brett Kavanaugh despite uproarious criticism. And then there are the daily twitter storms from the man to undermine rational and fact checking voices in the media and the autonomous functioning of the FBI. An essay by independent watchdog Freedom House claims that democracy faced its most serious crisis in decades in 2017, as its basic tenets — including guarantees of free and fair elections, the rights of minorities, freedom of the press, and the rule of law — came under attack around the world. We quote, "Seventy-one countries suffered net declines in political rights and civil liberties, with only 35 registering gains. This marked the 12th consecutive year of decline in global freedom. The United States retreated from its traditional role as both a champion and an exemplar of democracy amid an accelerating decline in American political rights and civil liberties. Over the period since the 12-year global slide began in 2006, 113 countries have seen a net decline, and only 62 have experienced a net improvement." The developments in Turkey, Hungary, the ruthless militarisation and ethnic cleansing in Myanmar, Right-wing populism gaining votes and parliamentary seats in France, the Netherlands, Germany, and Austria during 2017 show a decline in democratic ways that the world had come to take for granted. Freedom House says, "The eventual outcome of these trends, if unchecked, is obvious. The replacement of global democratic norms with authoritarian practices will mean more elections in which the incumbent’s victory is a foregone conclusion. It will mean a media landscape dominated by propaganda mouthpieces that marginalize the opposition, while presenting the leader as omniscient, strong, and devoted to national aggrandizement. It will mean state control over the internet and social media through both censorship and active manipulation that promotes the regime’s message while confusing users with lies and fakery. And it will mean more corruption, injustice, and impunity for state abuses." Add to this worrisome mix, oppression of dissenters, murders of journalists and whistle-blowers, and what we have is a dark and dangerous time. World, it’s time for a crisis huddle. We simply need to do better. Coming back to the subject at hand, as the world's largest democracy, do we need to set an example by preserving the robust autonomy of key institutions? We have been doing so but experts worry that even small deviances from this path can have far-reaching consequences. Let’s get to it. The RBI is an entity independent of the government as it takes its own decisions, says the piece, and till now it has done exactly that. 2) Subject to any such directions, the general superintendence and direction of the affairs and business of the Bank shall be entrusted to a Central Board of Directors which may exercise all powers and do all acts and things which may be exercised or done by the Bank. 3)Save as otherwise provided in regulations made by the Central Board, the Governor and in his absence the Deputy Governor nominated by him in this behalf, shall also have powers of general superintendence and direction of the affairs and the business of the Bank, and may exercise all powers and do all acts and things which may be exercised or done by the Bank. What was the reason behind the government invoking Section 7? The government and the RBI have not been congenial for a while. The skirmishes with former RBI Governor, Raghuram Rajan have been well-documented. As NDTV reported recently, the Prime Minister's Office (PMO) has termed as a "roving enquiry" an RTI plea seeking to know details of bad loans submitted by former RBI Governor Raghuram Rajan to it. More recently, the government and the RBI have been struggling to find a middle ground regarding another issue. While the government maintains that easing of lending rules for the banks under the prompt corrective action (PCA) framework could help reduce pressure on MSMEs, RBI has argued, according to The Economic Times, that such a move would put the clock back and undo clean-up efforts. The Economic Times says, "With the credit markets tightening after the IL&FS (Infrastructure Leasing & Financial Services Limited) default in September, non-banking finance companies lobbied the government for more liquidity. But RBI maintained its position since the banking system did not witness any spike in borrowing costs and the market was just repricing risk in an evolving situation." It was a recent court order suggesting that the government consider giving directions to RBI under Section 7 of RBI Act in a case involving independent power producers that may have opened up the avenue for the Centre. According to The Economic Times, power companies had contested a February 12 circular by RBI that said if a borrower misses a payment even for a day, it would be considered a defaulter even though the account will remain standing in the books of the bank. Among other issues that the government and the RBI seem to not see eye-to-eye on is the classification of non-performing assets (NPAs) and setting up a payments regulator independent of the RBI. Is Section 7 an avoidable step? Viral Acharya, the deputy governor of the RBI, has been a vociferous voice of dissent in this imbroglio. This may be a far-fetched comparison but just as in January this year, four retired judges, including an ex-Supreme Court judge, wrote an open letter to the chief justice of India, to express concern at the state of affairs in the country’s top court, Acharya has openly taken a stance against any interference in the affairs of the RBI. In a speech he made last week, the tensions between the RBI and the government has spilled out into the public domain. Acharya has advocated for RBI's autonomy for long-term financial stability in the country. We quoteThe Economic Times again, "This section has never been used in till now. It was not used even when the country was close to default in the dark days of 1991, nor in the aftermath of the 2008 global financial crisis. It is not clear how this Section operates since it has never been used. The aggressive move could scandalise a section of academia and experts, while raising questions about the government’s intentions and the impact on RBI's autonomy." NDTV also cites Acharya's speech, "Governments that do not respect central bank independence will sooner or later incur the wrath of financial markets, ignite an economic fire, and come to rue the day they undermined an important regulatory institution." While Viral’s speech went viral online, Finance Minister Arun Jaitley accused RBI of "looking the other way" while banks were lending indiscriminately. The ministry said: "The government has never made public the subject matter of those consultations. Only the final decisions taken are communicated. The government, through these consultations, places its assessment on issues and suggests possible solutions. The government will continue to do so." Interestingly, according to NDTV, the RBI has put lending curbs on some weak state-run banks, while the government, facing the 2019 national election, wants to ensure banks continue to lend to boost economic growth. Former Vice Chairman of the NITI Aayog, Arvind Panagariya, told The Quint’s Editorial Director Sanjay Pugalia that differences between the government and the Bank were not unheard of in the past and invoking Section 7 wouldn’t amount to “unconstitutional” behaviour. TOI has reported as well that the government seems to be advocating RBI's autonomy but within a framework. The paper cited sources in the government as saying, "the autonomy of the central bank, within the framework of the RBI Act, is an essential and accepted governance requirement." The government added that "governments in India have nurtured and respected this." The finance ministry, in a statement, said and we quote, "Both the government and the central bank, in their functioning, have to be guided by public interest and the requirements of the Indian economy. For the purpose, extensive consultations on several issues take place between the government and the RBI from time to time. This is equally true of all other regulators." An even more important question is this: If we cannot trust the country's central banking institution to run our financial affairs autonomously, then who can we trust?